I loved this book. Quite honestly, the only thing I hated was the length—142 pages?! There’s nothing worse than a fantastic book being super short. Wait. There is. The sequel won’t be released until this summer at the earliest. Hitomi is a wild Promise, a fledgling mage with little training. She reminded me a bit of Aladdin, orphaned at a young age, thieving, running from the guards and living on the streets. She’s part of the Shadow League, an underground movement working to get rid of the terrible Arch Mage Blackflame, who kills people mercilessly and feeds children to fangs (vampires). When Hitomi is captured in an effort to save several kids, she’s placed in captivity with a hungry breather named Val, who eats people’s lives/souls. I’m not gonna lie—I was 15% in when I was like, damn it, Ghost and Hitami’s romance is going to be the focal point. Only…they didn’t have a romance. And it was awesome. Hitami was a total badass girl and I appreciated that. She is honorable, brave, and loyal to the League. It’s a short book, and I don’t want to give much away. I rated it a 4/5 on Goodreads. I definitely recommend it! 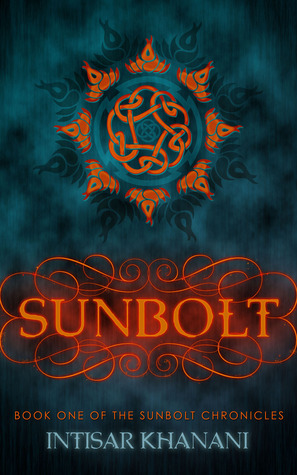 I received a free copy of Sunbolt through NetGalley in exchange for an honest review. That’s great news! In the meantime, I will definitely be checking out your other work. Thank you!